Welcome to Emory Veterinary Clinic! Questions about your pets health? Stop reading and contact us right away! If you live in Emory or the surrounding area in TX, then you have picked the perfect site to find a veterinarian. 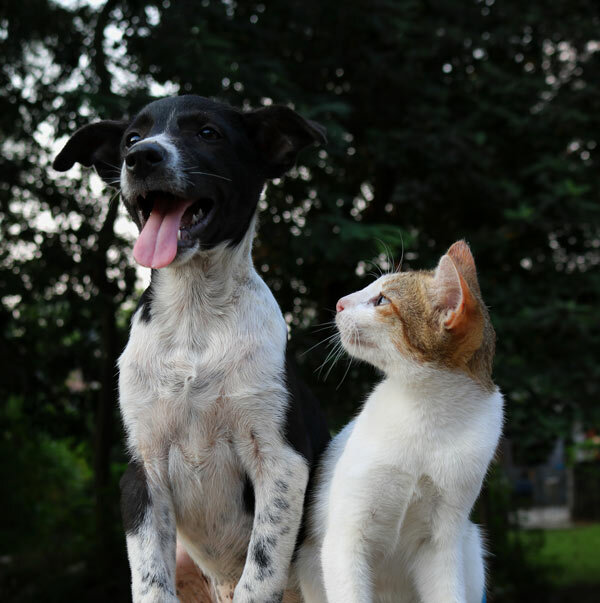 Dr. Mike Andrews and Dr. Samantha Gibbs are a licensed veterinarians, who have worked with all types of animals in the past, however now, focus primarily on cats and dogs. Your pet&apos;s health and well being is very important to us and we will take every step to give your pet the best possible care. Emory Veterinary Clinic is a full service animal hospital. We have a complete laboratory facility capable of processing blood work and urinalysis. Our radiology department is state of the art for any x-ray and/or ultrasound film necessary for diagnosis. We have an excellent surgical suite with the latest equipment to monitor your pet during surgery and/or dental procedures.Dr.s Andrews and Gibbs are experienced in all types of conditions and treatments. Beyond first rate pet care, we make our clinic comfortable, kid-friendly, and a very calm environment so your pet can relax in the waiting room and look forward to meeting his or her own Emory veterinarian. We have a number of resources for you to learn about how to take better care of your pets. The best veterinary care for animals is ongoing nutrition and problem prevention. If you want to ask a question call (903) 473-3101 or email us and we&apos;ll promptly get back to you. Emory Veterinarian Clinic is very easy to get to, and you can find directions on our Contact Us page. At Emory Veterinary Clinic, we treat your pets like the valued family members they are. These people who work here are the most helpful and friendliest ppl I have ever met. My dog was sick and it was scaring me and they let me bring her in with no appointment. They took excellent care of her and gave her the right meds to help her. Thanks to them my Saphie girl is doing better. Just an awesome vet clinic. Thank you again to all the staff members! HIGHLY RECOMMENDED!!! Great Dr.s and staff, everyone is always so friendly and ready to help out fur babies in any way needed. I have used Dr. Andrews for many many years Terrell until he retired, then I really didn&apos;t know what Vet to use for my dogs. I did use a couple and just not thrilled with them, then the clinic in Emory where I live had new owners and guess what? DR. Andrews was one and the other is Dr Wilbur. He did bring along his receptionist Martha witch is the nicest and always there greeting you with a smile on her face. My dogs have also seen Dr Wilbur and he is one of the old school Vets that takes his care for his patients as they are his. Oh I defiantly will not forget Beau, he always there to help when I bring my dogs, thank you so much Beau you are a gem.. Last is Dr. Andrews wife Pam, I have not known her long but not only is she is a very nice and beautiful person she loves to work with the animals and make sure your pets have the care needed. Thank each and everyone of y&apos;all for all the long and hard hours that are put in day after day to make sure all animals at walk or carried into the clinic get the best of care possible. I have complete trust in the Doctors & staff, they are very sincere in caring for our fur babies, the staff are friendly & its clear they too have love for animals!! Highly recommend them if you are in need of veterinarian! I can&apos;t say enough good things about Dr. Wilbur and the staff at this clinic. They stepped in and helped us with our Mom&apos;s dog, Buddy, when Mom was very ill and we were worried sick about both of them. If you are looking for a compassionate, helpful clinic - this is the place to go. I have been to many vets around Greenville and Quinlan and have been very disappointed until someone recommended the vet in EMORY. I love them. The staff and the vet and vet techs are awesome! They don&apos;t over charge you or make you get a bunch of useless tests. They actually care about your pets not about money! They will be my vet from now on! I had a puppy with Parvo. I brought him in and they basically saved his life. They gave me all the instructions I needed and told me how to care for him. They made it very easy to understand. Great Customer Service! When you are looking for a veterinary care clinic you should be able to count on superior care and excellent service. We at Emory Veterinary Clinic in Emory, Texas have assembled an expert team of veterinary professionals to bring you the best possible healthcare for your pet. We have a state of the art veterinary facility which is clean, comfortable, and efficient. Call 903-473-3101 to schedule an appointment and we will find a time that is convenient for you. Once a year, you should take your pet in for a check-up. This will include a full physical exam, and may include teeth and gum cleaning if needed. Dr. Mike Andrews or Dr. Samantha Gibbs will check the health of your pet from head to tail, and you will be very happy you came to Emory Veterinary Clinic for service. Bring in any medical history you have of your pet when you come to our vet clinic. It&apos;s best to keep a journal of your pet&apos;s health throughout his or her life, including behavioral shifts. If you have something like this, share it with our team. If not, let us know everything that you think will be important. Dr.s Andrews or Gibbs can still work with whatever information you have. In some circumstances, Dr. Andrews or Dr. Gibbs will refer you to a specialist who has advanced expertise in areas such as internal medicine or surgery. 1. Payment is expected when services are rendered. In order to focus on our patients&apos; needs, customer service and minimizing costs, we do not bill. For best health products for your pet, visit our online pharmacy!